We aspire to do more than serve great beer and food. The Beer CafÃ© wants to foster a meaningful bond with Mumbaiâ€™s growing community of beer enthusiastsâ€, says Rahul Singh- Founder and CEO of Indiaâ€™s largest alco- bev chain. When it comes to having a beer, you'll never run out of excuses. At least, not at The Beer Café India’s largest beer chain. Located at Churchgate’s iconic Eros cinema building, the newly opened outlets is an up market venue with great food and music. “We aspire to do more than serve great beer and food. 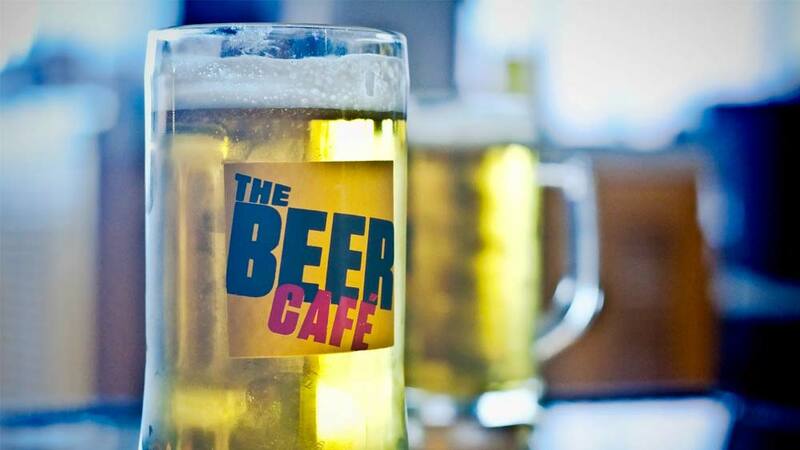 The Beer Café wants to foster a meaningful bond with Mumbai’s growing community of beer enthusiasts”, says Rahul Singh- Founder and CEO of India’s largest alco- bev chain. Inspired from traditional Irish pubs, this outlet reflects old- world charm in a refreshing modern café setting. rich woody browns, shamrock greens, deep ochres with cream accents create a warm and alluring ambience. Quirky wall décor- from humorous framed posters, distressed mirrors, wood- engraved quotes and gorgeous ferns impart cheerfulness to the setting, enticing guests to explore the extensive menu- an intersection of hearty pub grub and tipples. Not only this, the outlet provides complimentary WiFi to its guest turning it as a hotspot for people to meet, mingle and plough through a little work. “We’re absolutely thrilled to bring a world-class beering experience, right here in South Mumbai. Having the largest collection of beers under one roof, The Beer Café, Churchgate is where Irish rusticity and tradition meet modern- day sophistication. It offers an unmatchable combination of entertainment, comfort and value,"elaborates Singh. The café will also serve 14 varieties of draught beer amongst 50 international beer brands. Supplemented by a creative menu of beer based cocktails by Studio de Monin, an array of craft beers from both local and international breweries and an enticing food menu that adds a unique twist to traditional Mumbai favourites.